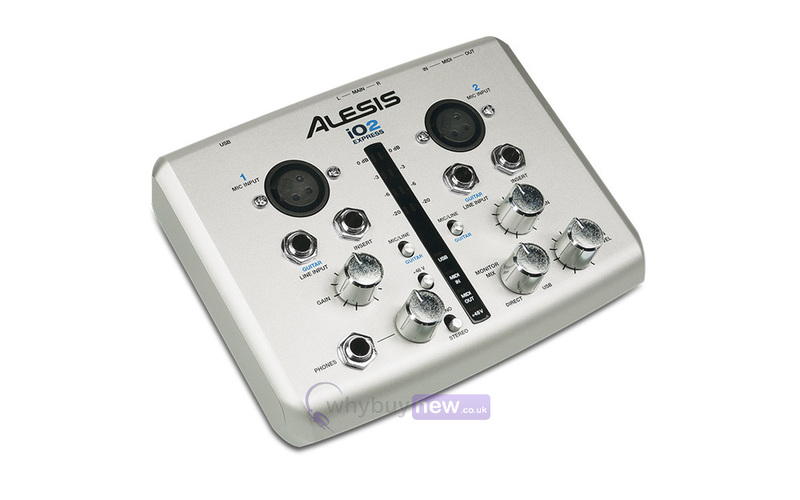 Here we have the Alesis iO2 EXPRESS in B-Stock. The B-Stock versions would have been on display at a training evening or trade exhibition only and will come boxed 'as new' with all accessories and a 1-year warranty. Discrete-design preamplifiers and true 48-volt phantom power ensure that you capture microphones' complete signal. High quality analog-to-digital and digital-to-analog converters ensure that every detail of your session or performance gets recorded - and played back on your monitoring system. It's class compliant, so you can use the plug-and-play iO2 EXPRESS with virtually any computer. The iO2 EXPRESS is USB bus powered so you won't need to carry a bulky power supply, and its performance is optimized for minimal laptop battery drain so you'll be able to track long sessions and gigs remotely. The iO2 EXPRESS has two input channels. 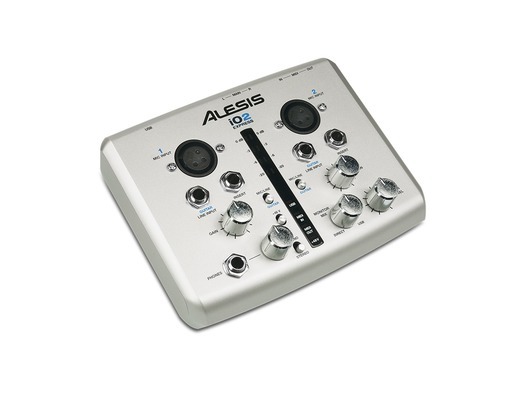 Each channel has an XLR microphone input, a 1/4" TRS insert for external effects units, and a 1/4" TS jack that works with line-level sources and can accommodate direct connection of guitars. The iO2 EXPRESS sends and receives two audio channels on a single USB cable for simple, universal interface. You can monitor your sessions on any studio monitoring or other loudspeaker system via dual 1/4" balanced outputs. For remote tracking and alternative playback, the iO2 EXPRESS has a 1/4" TRS headphone output. Each channel has a gain trim control, and there's a master level control for optimal gain staging. When monitoring on headphones, you'll appreciate the dedicated volume control.